Lotta's 5th ! collection for Windham fabrics crikey this lady is a busy woman. 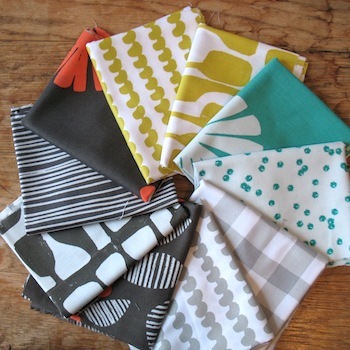 I always look forward to seing what suprises will be in Lotta's fabric collections. Lotta brings fresh colors to your table and has had fun with bright fuschia, teal, periwinkle, citron and taupe colors alongside her bright woodcut flowers and leaves showing off a sparkling new collection. A lovely graphic print from Lotta, scale wise the width of a section is 1.5cm.